All of us at RockSports are huge fans of the Round Rock Express Baseball Team and organization. 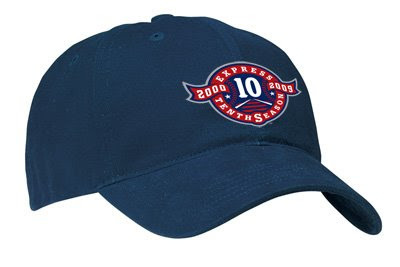 This year Round Rock Express is celebrating its 10 year anniversary. Also this year, like previous years, RockSports teamed up with the Express to offer a unique, customizable T-shirt and Cap. 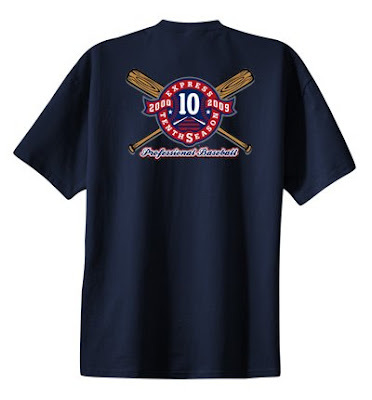 The outstanding, 10 year anniversary T-shirt and cap designs are offered exclusively with the purchase of group tickets. In addition to the exclusive designed apparel, you will also have the option of customizing the front of the shirt or the side of the cap. RockSports is proud to announce its seventh year as a Round Rock Express sponsor. To see other RockSports produced, official licensed Round Rock Express apparel, be sure to check out www.rocksports-rrexpress.com. We look forward to seeing you at the games!